Hey y'all! 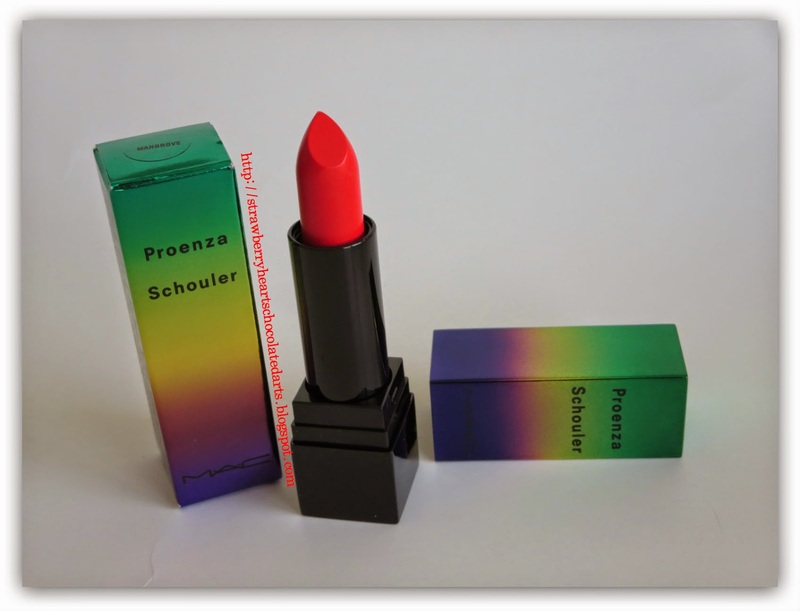 I am dying of excitement to share my review of a brand new lipstick I bought this morning. In fact my excitement is bouncing off the walls in my mind to the extent that I am not able to write a proper review. I have never posted a review along with pictures and swatches on the very same day as purchasing the product. I like to test out a product for a while before sharing my thoughts on it. For this reason I am often too late in sharing my review of limited edition products. It seems like every time I blink my eyes, MAC releases a new limited edition collection. I do not own very many MAC limited edition cosmetics. These collections are difficult to keep up with - practically and financially. Even though I adore the packaging of most MAC limited edition items, the actual product itself might not always be my cup of tea. I cannot justify purchasing makeup for packaging alone. 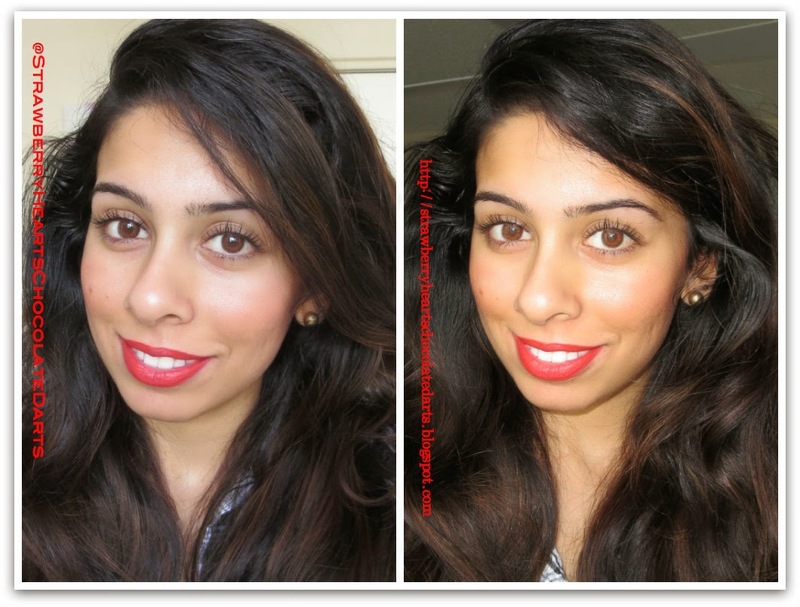 I purchased a lipstick and a blush from the Winter 2013 Divine Nights collection. 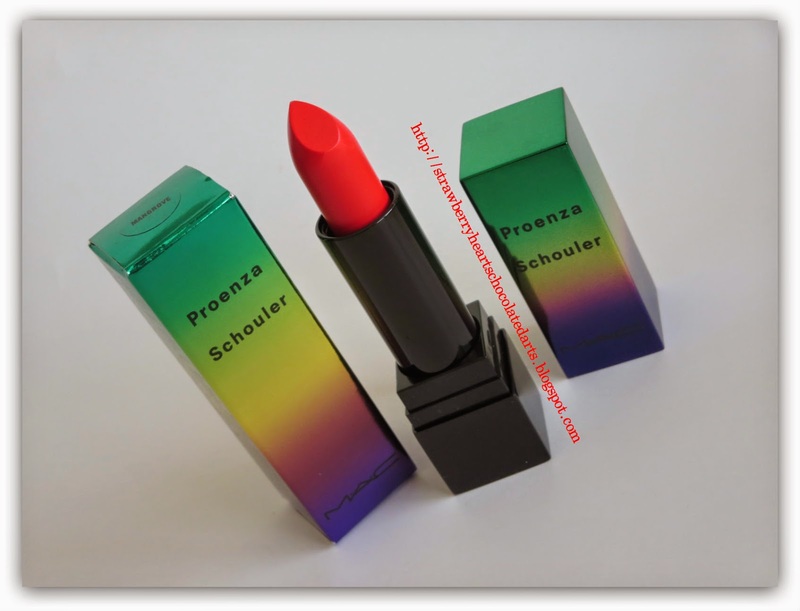 More recently I purchased three lipsticks from the Huggables collection. This is the extent of my MAC limited edition makeup. Yesterday, Mr. Beau asked me what time I was going to wake up in the morning. I told him bright and early. He asked me why. I told him that MAC Proenza Schouler collection is coming out. He didn't understand. So, I explained to him that every time MAC releases a collection, it is like Black Friday at Walmart. Hyper women chasing after hyped makeup. I have never done this before. I reached the mall at exactly 9:50 a.m. I was the first customer inside the Belk store. Honestly, I was a little let down that I didn't have to fight a crowd or stand in a line of women huffing and puffing, waiting to get their hands on the good stuff. I had imagined it to be a crazy experience. 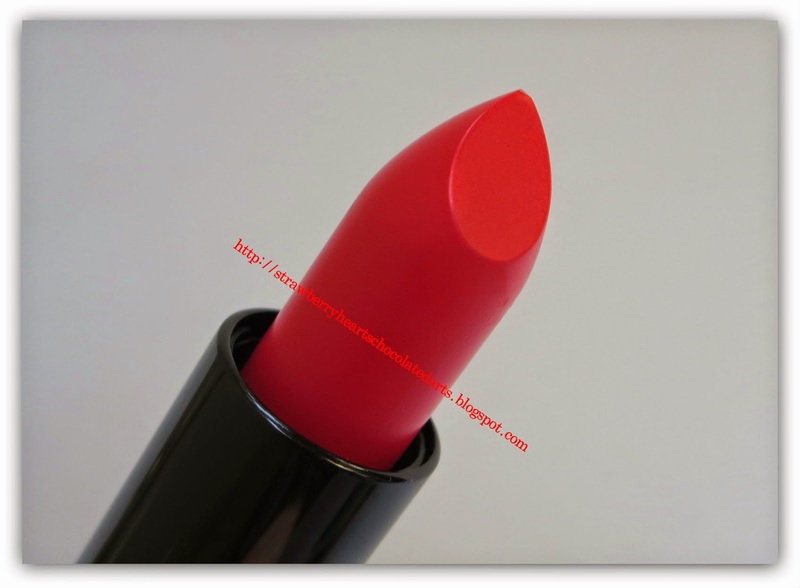 I had seen a preview of the collection on Temptalia, so I had my eyes set on the vivd coral-red lipstick called Mangrove. I paid about $24 and some change for this lipstick. It costs a bit more than the permanent MAC lipsticks. Okay enough of sharing my experience. Let us move on to the actual review. I love this lipstick! I loved it before I even applied it. In fact, I was hesitant to apply it at first because I didn't want to ruin the perfect hot coral-red-orange bullet. Personally, I think this is the best feature out of the entire collection. I highly recommend this lipstick. Although Temptalia mentioned that Mangrove is the most "dupable" shade out of the whole collection, I find that Mangrove is a very unique shade and a must-have. I have been searching high and low for vivid, bright, hot coral red-orange. The formula is matte, but it feels nothing like a true-matte. I would describe it as a semi-matte because it feels much more comfortable and less rigid than the matte and satin formulas of MAC permanent lipsticks. 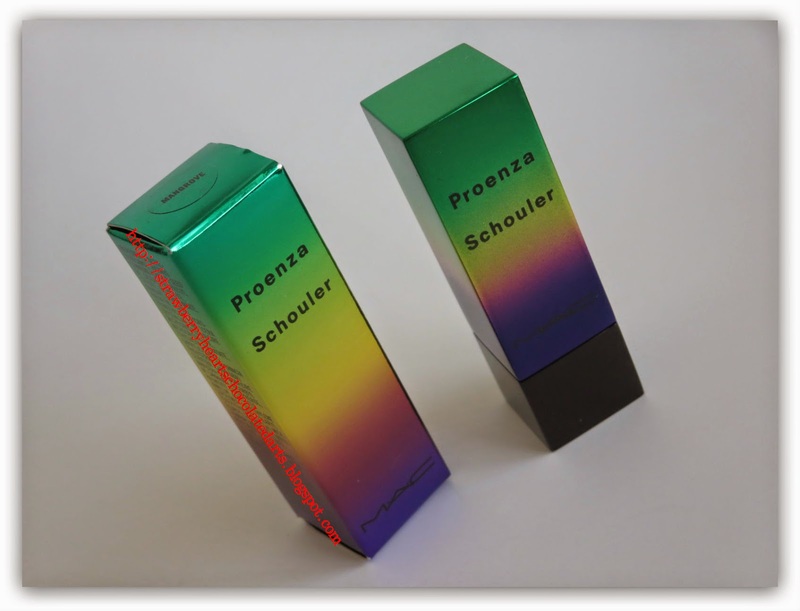 It glides on smoothly like a creme formula, yet does not have the slip of such an emollient formula. 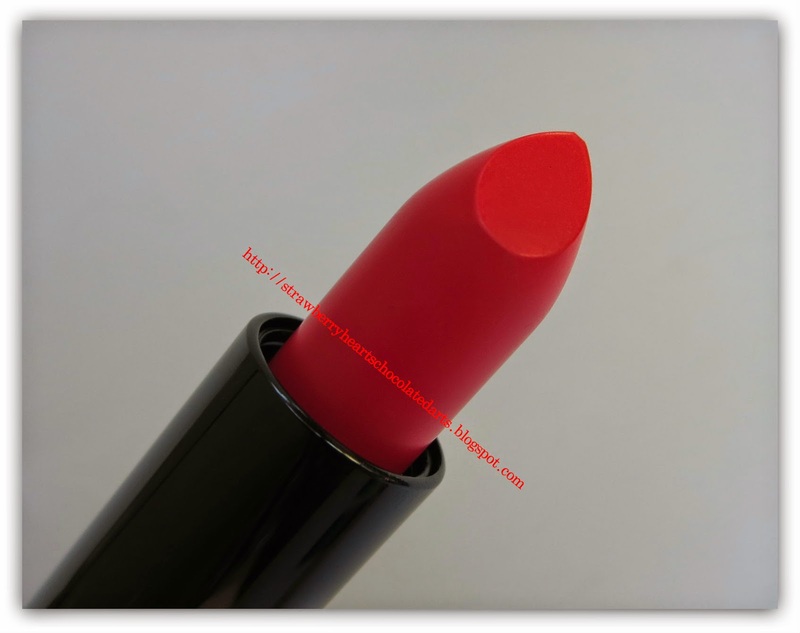 It is non-drying and does not emphasize lip lines or crevices. I hate matte formula that soak up all of the moisture and natural youthful look of lips, instead making lips appear parched and wrinkly. This is not such a matte. 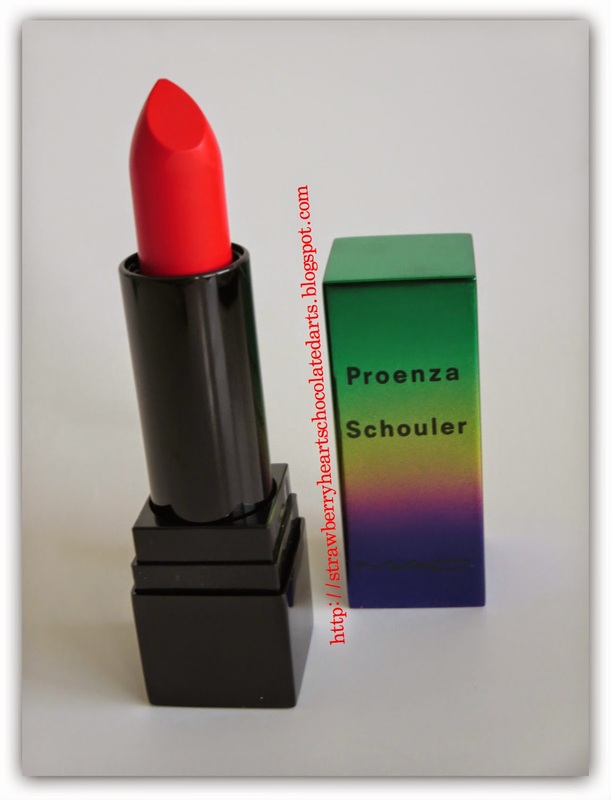 This lipstick could not be any better - it is perfection as is! 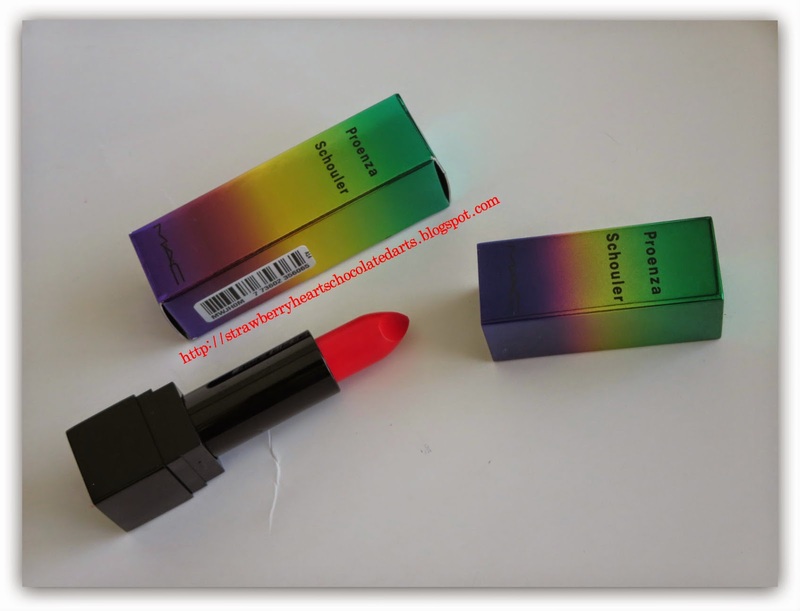 I have tried quite a few bright lipsticks, but was unimpressed by all because they appeared patchy, streaky, and stark on my lips as if I was trying to wear neon color mousse. One swipe across the lips is enough for intense, opaque color. All day today I have been thinking about purchasing a back up of Mangrove, which implies a lot because I don't have back ups of any products I use, except maybe shampoo and conditioner. I think the name of this lipstick is cute too. Mangrove sounds tropical to me and makes me think of an area where colorful tropical fruits grow, like mangoes, pineapples, and papayas. As for the staying power, I would like to wear this lipstick a bit more and then report back. The packaging is sort of tropical and festive too - reminds me of Mardi Gras beads, lush greenery, plantains, and a sunset on the beach. Can y'all tell by now that I am very happy with this purchase? Keep in touch with me via Instagram, where I post previews of upcoming reviews, hauls, and makeup looks. I agree with Jessica. This could be your signature shade. I mean, c'mon girl! BOMBSHELL. Looks seriously lovely! Omg so beautiful color, I love it ! Im in love with this colour on you! Looks great.